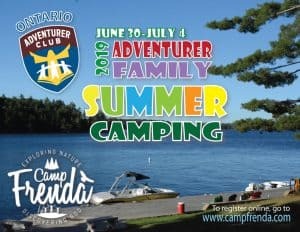 Adventurer children (ages 5-9) and their families are invited to join the fun and adventure on June 30-July 4, 2019 (Sunday-Thursday) at Camp Frenda. 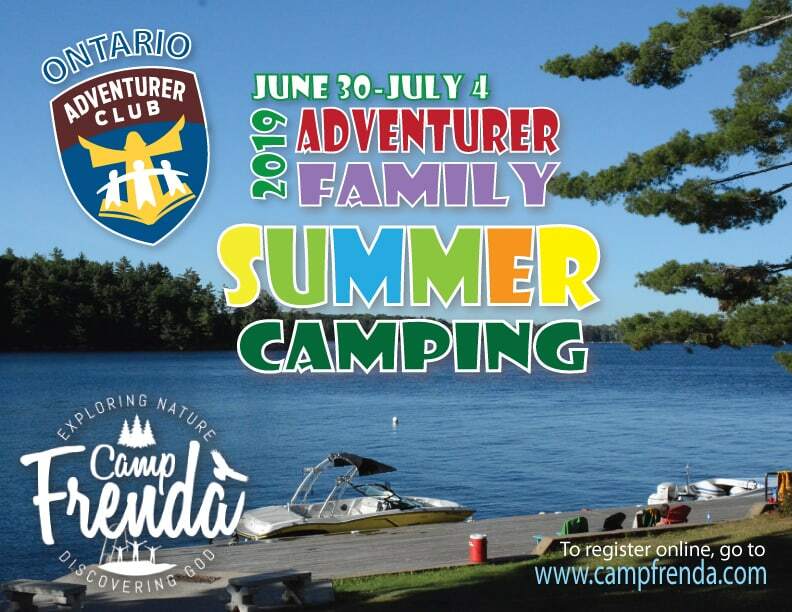 Online registration is now open for this exciting 5-day summer camping event. Rates include lodging and meals for parents; lodging, meals and daily activities for the children. Lakeview Lodge: adjacent to meeting room and dining hall; each room has a private washroom. Chalets: located at the top of the hill; approximate five minute walk to main lodge; no private bathrooms, communal shower block. Hillside Cottage: located on lower field next to basketball court; bedrooms on second floor; sitting area on main level; shared washrooms in the building. The first meal will be served on Sunday June 30, at 6:00 pm. Three meals will be served daily, Monday through Wednesday. The last meal will be brunch which will be served on Thursday. Camp Frenda will be offering horseback riding, crafts, waterfront activities, adventurer sports and adventurer awards will be earned. Each morning and evening there will be worship specifically designed for adventurer aged children. For more info regarding cost and accommodation, click here.